I like the idea of writing your own spooky celebration! Still stuck in an airport trying to get home. 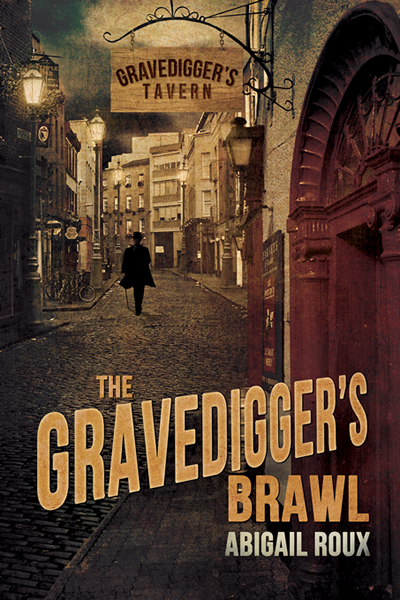 Now afraid to open gravediggers brawl on my kindle. And I don’t even live on the coast anymore! So love Halloween though, and want to get home fir the trick or testers. I LOVED THIS BOOK! 🙂 So, so good! Little Roux’s bangs and other scary thangs! I’m hoarding Gravediggers Brawl for a train trip next week, and it is killing me! I love Halloween, but I am glad it will be over when I read this haunted book on a huge piece of technology rolling through the night. Thank you! I LOVE being the scary house on Halloween! One year we stuffed some clothes to look like a dead body (complete with “bloody neck stump” (a red tshirt) and carving knife in the chest). It was too scary for one kid and we had to bring the candy to him at the end of the sidewalk. I felt kinda bad and yet kinda awesome at the same time. 😀 HAPPY HALLOWEEN! I love that you love Halloween, Abi! Both ghost stories are amazing and I wouldn’t mind reading more. I’d love to see a sequel of Seeing is Believing! Halloween is best when you have kids to keep you on you toes by trying to out scare each other. Hope to read it real soon. I love the Cut and Run series and I know I will love this, too. I have added this to my must have list. Thanks so much for the post! Happy Anniversary! Great post – dressing up is definitely not just for kids. The first year we were in this house and I’d already got a reputation for being the village witch, when Halloween came around I dressed up as a witch, pointy hat and all, sat outside the front door with my cauldron and spooked the living bejayzuz out of the local children. I don’t have an inner child – it’s still all on the outside! I have always loved Halloween! Trick or Treating where I grew up was always lots of fun, all the houses decorated and had different themes, be it spooky, silly or a combination. As I’ve gotten older I love handing out candy to the younger generation! It’s never too early to start them out on loving the holiday! I love the month of October, with the cold snap in the air and bright cloudless blue skies. Being able to sit and read a spooky, scary book by nothing but firelight. 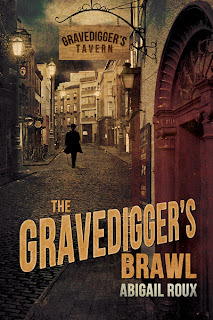 Gravediggers Brawl was an amazingly wonderful book and just what I was looking for. HAPPY HALLOWEEN EVERYONE! I love that spooky feeling that comes with the crisp fall nights in October. I’m silly enough to walk through the old graveyard in my town and freak myself out when its just the leaves rustling. Your book sounds fab. Thanks for the giveaway opportunity. Happy Halloween everyone! I’m not big on the candy/costume extravaganza so I’ll be curled up with this spooky book tonight. Can’t wait. Planning to read this later today – staying with family, who are in a village so it’s very dark & quiet…and a little creepy! We go all out with the decorations at our house. My three year old twins really got into it this year and wanted to drive around the neighborhood to see how others decorated. I wish more people would get in the spirit. Maybe, next year. I have been saving this book until tonight. I am so excited! I live way out in the country, don’t get any trick-or-treaters, so I don’t really decorate or anything for the holiday. I generally stay home and read a good spooky or paranormal story, watch a good scary movie, and maybe eat some candy. I am trying to stay away from the candy though. I don’t go trick-or-treating. I’m a bit too old for it and have no kids of the right age. Plus it’s not really such a big thing in England, although we are getting the hang of it, it’s not taken off in my village. So I rely on reading, or watching a ghost program on TV.